The payments industry is one of the most complex industries on the planet at the moment, but it’s also one of the few that are ripe for serious disruption in the coming years. In fact, Business Insider predicts a surge of companies who will compete for everything from mobile to in-person payments, both for consumer and business applications. This is why 2017 will be a watershed year for the world of payment processing. 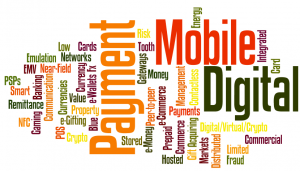 The fact is that the world of mobile payments is more inevitability than surprise. When banks began to transfer money digitally, it was really the first step toward where we are today. The trouble was finding cohesive systems, which were easy to adopt, that could move money from one merchant account to another in a consumer and business-friendly manner. Today, there are more companies than ever offering total solutions to the in-store and online components of a business. Right now, smartphone adoption rates are experiencing explosive growth as more options for affordable phones hit the market. The luxury iPhone market has already had a torrent of payment processing directed to it, with Android following suit. Apps function like digital wallets, where consumers can transfer money to a business simply by scanning or holding the phone near the register. That’s making a big impact at the register, where consumers are realizing their payment information is even more secure on a mobile device. The future of payments may be a wallet-less world where the phone is used as a means to transfer money. Sophisticated payment gateway services encrypt and protect the data during transfer, so hackers can’t steal valuable information about your account. 2017 is a unique point in technological history. We’ve gone beyond augmented reality into virtual reality. Computers, smartphones and every device around is capable of more than ever before. With that much power, the system is ripe for disruption. Bitcoin is also changing the market, slowly bringing awareness to anonymous currencies with real value attached to them. Technology brings better and more secure transactions to the marketplace, and provides a means for businesses to process payments faster. This is also good for consumers, who previously had to wait several days before a payment might show up on their statement. What will the future of payments look like? Charge.com has been rated the Web’s #1 merchant account provider for six years counting.